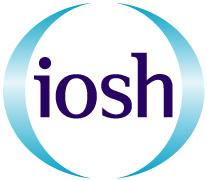 Our IOSH Managing Safely course is for managers and supervisors in and sector, and in any organisation. If you have any management or supervisory responsibility then this course is for you. The course is designed to get you and your colleagues competent in the practical actions they may need to tackle health and safety responsibilities in their teams. The course is 4 days in length and candidates are required to successfully complete a multi-choice examination and carry out a risk assessment project relating to your own workplace.